The following pictures give you an impression on typical work with the application. Click on a picture to display it in full size. 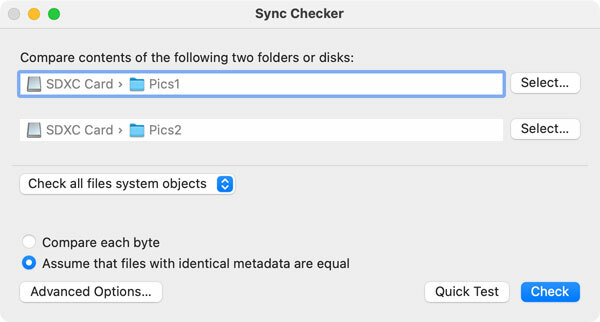 A sync check or a quick test on two sets of files is started by this easy-to-use control window. If necessary, advanced options can be set to perform the check. The results of the check will be presented in a document window. It can be used to navigate through large sets of mismatching objects. 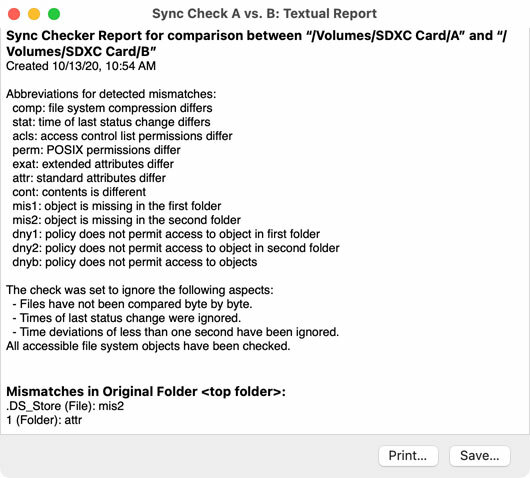 Sync Checker can also generate a report in text form which can be printed or be sent to a text processing application. 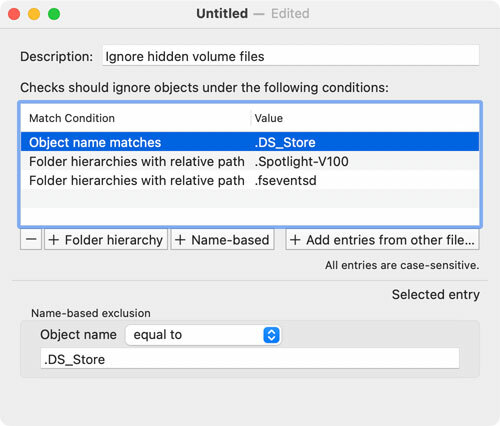 Mismatches found in Unix attributes can be analyzed exactly. Differences in usually invisible items like Extended Attributes will also be detected. 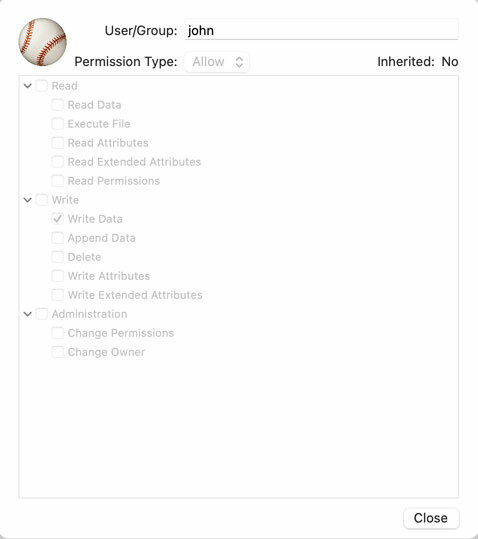 A powerful inspector to display permission settings in great detail is also included. 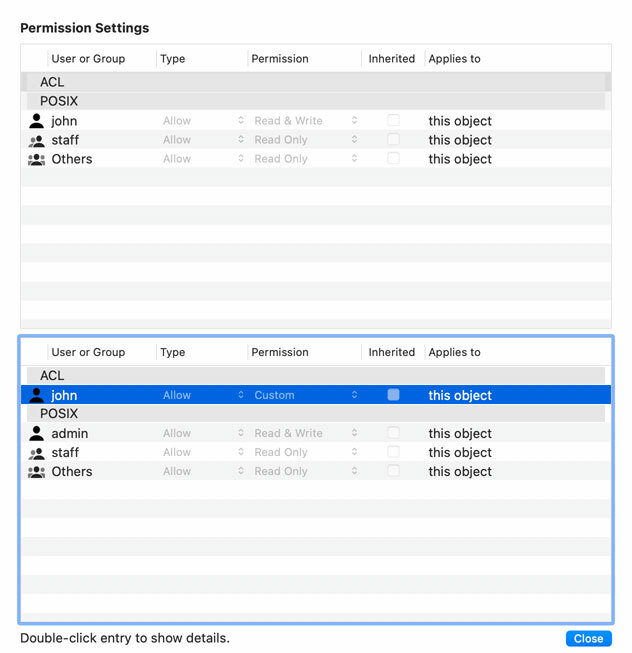 If you are not familiar with Access Control List permissions, Sync Checker can visualize them for you. 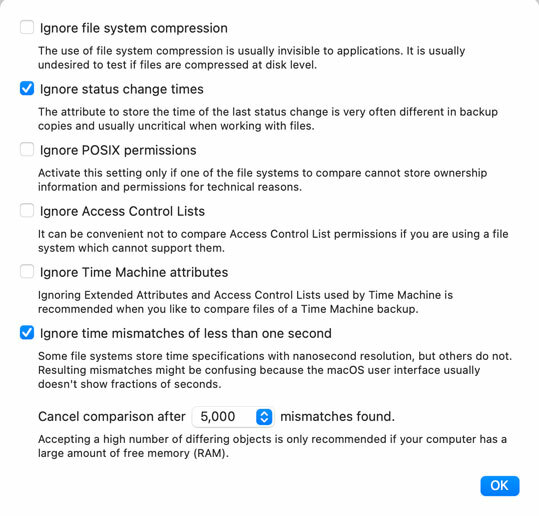 Advanced users can create ignore lists to exclude certain files from a sync check. 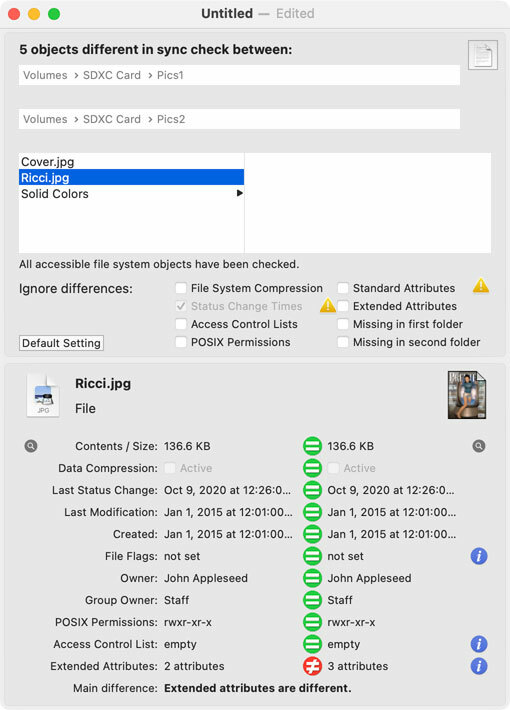 Archived file scans can be used as data source, allowing you to monitor file sets over time or to perform other offline checks.